I have always enjoyed making and bringing cheesecake to most social events and have a true passion for creating the unthinkable. I have also always been the one to complain about not enough of this or that on a dessert. 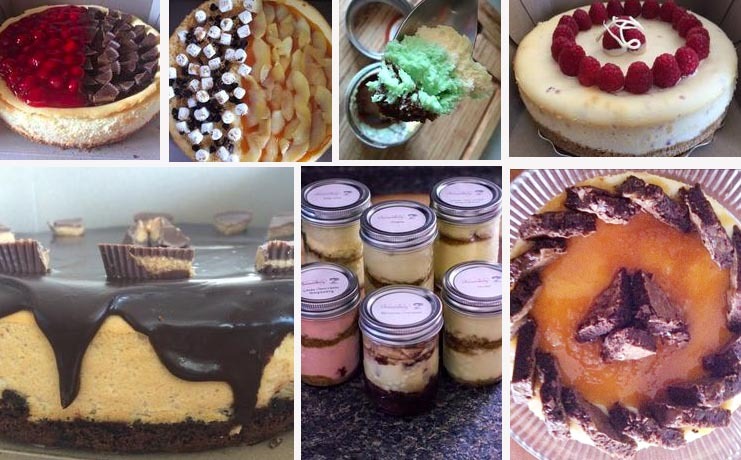 Giving my customers the freedom to create exactly what they want with a delicious cheesecake base is so much fun! Then came the mason jars, I had one sitting on the counter and thought can I bake in that?….. The ideas just keep steam rolling in!